ISBN: 8186939008/ Markings: Number Line 13579108642. 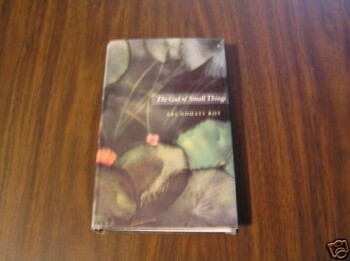 Book-VGood/Dust Jacket-VGood Book: Shelfwear top/bottom board edges. Slight bumping top/bottom spine. Dust Jacket: Bumping top of spine. 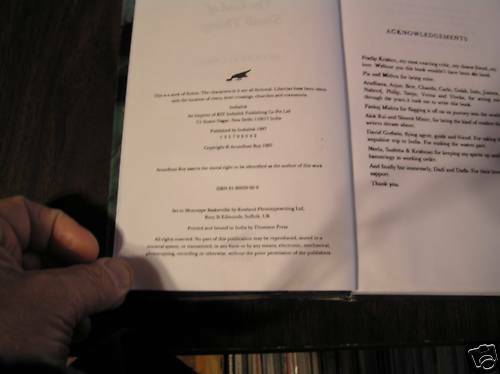 Jacket has small glued area middle of front and back flap, common to India Ink publications. 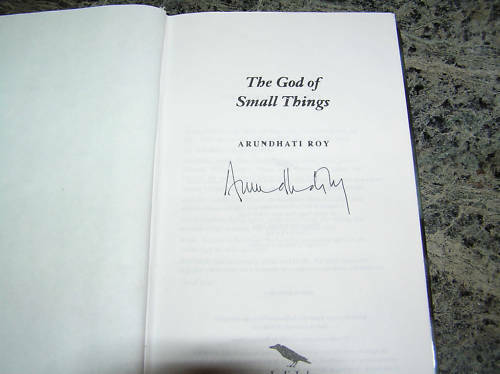 Be the first to review “ARUNDHATI ROY God of Small Things 1st India SIGNED” Click here to cancel reply.